Nottingham has over 4,000 free spaces across 7 Park & Ride sites. Parking is free at all of our Park & Ride sites, you just need to pay for the bus or tram. With nine sites across the network and over 5,000 spaces available, Park & Ride helps take the hassle out of your journey. 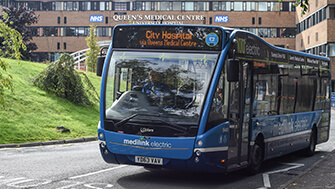 Queen’s Drive, and Wilkinson Street Park & Rides are serviced by the Medlink bus – connecting you to the Queens Medical Centre and City Hospitals. 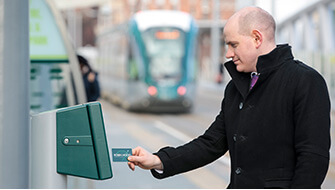 There are seven Park & Ride sites along the tram network including the new sites at Clifton and Toton Lane. The Forest site is perfectly placed for attending events in the city. Colwick Park & Ride stop has been moved onto Daleside Road to help speed up journeys into town.